What does New York City, frozen green beans & deodorant have in common? Stumped? They are all backing self-esteem campaigns for kids. What is a self-esteem campaign, you ask? 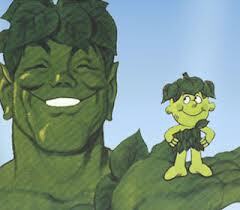 Well, NYC, Green Giant & Secret are splashing out on media that lets kids know they are good enough gosh darn it. There are subtle differences in the campaigns however. The beans and roll-on focus is on bullying, and NYC is on the side of positive body image. Mayor Bloomberg is telling girls he loves them just the way they are. This $330,000 initiative is partly a visual campaign exalting girls of all shapes and colors and a fitness program. Mixed message aside, the point is to combat the imagery with which girls are daily confronted. The Giant & deodorant on the other hand are focused on victims of bullying. Their’s seems a much more bland campaign with the goal of prompting conversation. (Is anyone not talking about bullying these days?!) What these three initiatives have in common are targeting the victim. None of this bullying propaganda deals with the bully. Green Giant implores parents to; “Help Her Stand Up To Bullying.” Interestingly, bullying almost by definition, suggest more than a one-on-one experience. The bullies are almost always plural and the bullied is most definitely singular. (That’s why it works!) Simple math would suggest that more bean buying parents have a bully at their table than a victim. Forgetting the misguided calculation for a moment; what in the world does it mean to “stand up to a bully?” How is it helpful to throw such platitudes around? The way to combat bullying is to grow strong children. Children who feel confident and secure do not bully. Children who are told (through words and deeds) that they are simply the best build arrogance not self-esteem. Strength comes from mastering challenges not from trophies and ribbons. All children want to be liked (and hopefully grow out of that weakness by the time they’re parents.) It is perfectly natural for a child to crumble from bullying. As long as that child has friends, interests and activities outside of the bullying vortex they should be fine. But suggesting that he/she is somehow at fault is not fine. A (meager) $330,000 campaign aimed at convincing girls they’re beautiful is also not fine. This drop in the bucket is ridiculous at best and patronizing at worst. Girls are raised in an overt feminized, and sexualized environment today. They are swathed in pink and glitter and bombarded with objectifying imagery. There are high-heeled shoes in toddler sizes now. Perhaps a campaign encouraging parents to turn off the television, stop buying celebrity magazines and get a little more gender neutral would have an impact. (Surrounding little girls with princess narratives and imagery is not terribly empowering.) Trying to grow strong girls in a climate of hair extensions, false eyelashes, silicone, twerking and botox is not easy. A subway poster or youtube video isn’t really gonna change much of anything. Particularly if they get off the subway and are confronted with softly pornographic posters in the station and above ground. I don’t doubt everyone’s good intentions, but nothing short of being all in is going to work here. Focusing on the victims not only sends the wrong message but is simply not effective. If the bean people really want to be a meaningful voice in the bully conversation how about a graphic novel-esque serial of the Jolly Green Giant instigating an online attack against Sprout? This comic strip could illuminate the weakness and insecurity of the Giant and Sprout could demonstrate coping skills. If NYC is worried about the body image of its smallest female residents, perhaps Mayor Bloomberg could hire models to do before and after photos? Children could see the smoke and mirrors for themselves. At the end of the day it’s really hard to combat the 24/7 buzz. Girl children have never had so many negative messages and role models. There are so many ways and so many chances for girls to be objectified. There are new ways (every day) for bullies to hide and perpetrate their self-medicating ways. We (the grown-ups) created this and we can fix it. There isn’t one answer, it’s more of a collective of measures. Children have different needs and parents are in the best position to address them. One method that will never work, however, is to blame the victim.